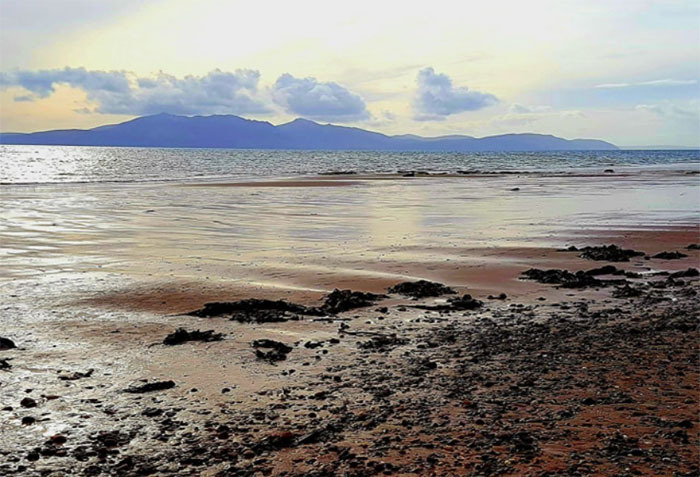 Having sailed down the Clyde estuary, and seen some of Scotland’s beautiful scenery, you can now embark on a selection of our many magical one day Greenock shore excursions we have on offer. 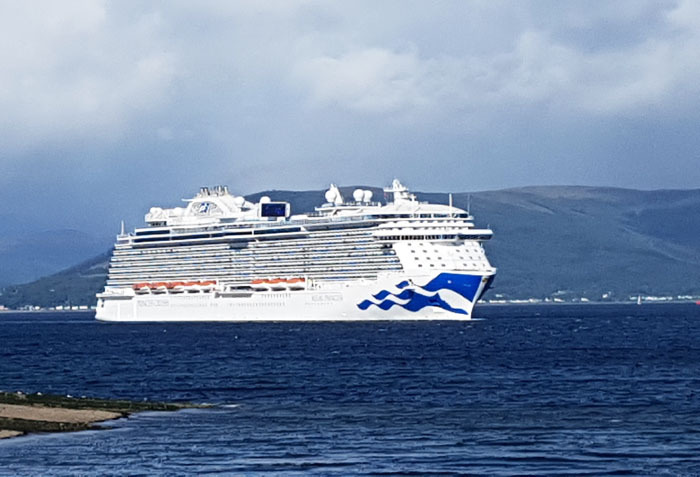 Your cruise ship will dock at Greenock Ocean Terminal, where you will disembark from your vessel, and be met with a warm welcome from Graeme, your Kilted Piper Tour guide. Let the excursion begin as we leave the old industrial shipbuilding town on the shores of the Clyde behind. Embark on an exclusive full day Shore Excursion from the Port of Greenock (Glasgow). 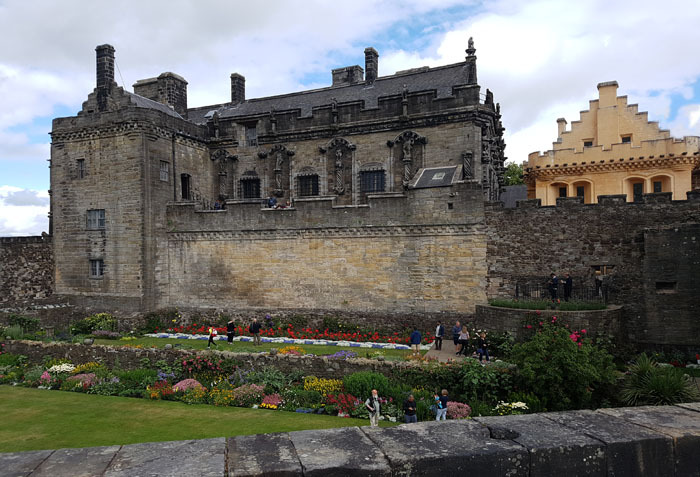 Explore the Historical Stirling Castle, absorb the breathtaking beauty of the ‘Bonnie, Bonnie Banks of Loch Lomond’, and be mesmerised by the magnificent landscape of the Trossachs National Park. You will be in awe of the atmospheric scenery, as you journey along the Clyde Estuary en route to the old ancient town of Stirling. 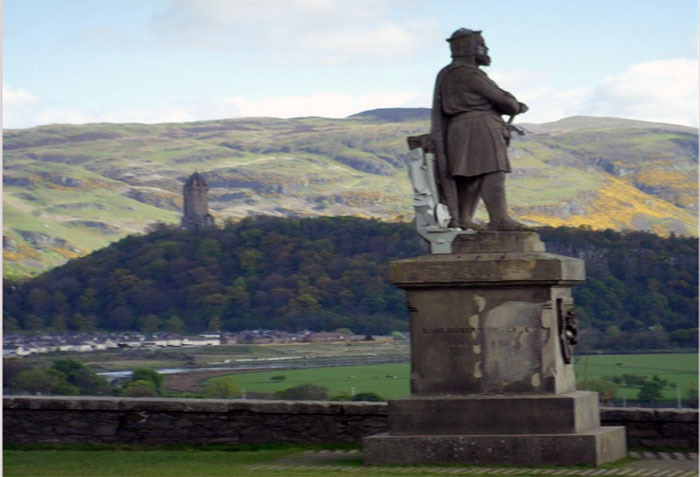 Follow in the footsteps of one of Scotland’s most famous legends, William Wallace. Let us transport you back in time, on this historical journey to the days of yore. Explore the bloody battlefield of Bannockburn and interact on the virtual reality battlefield in the visitor centre. 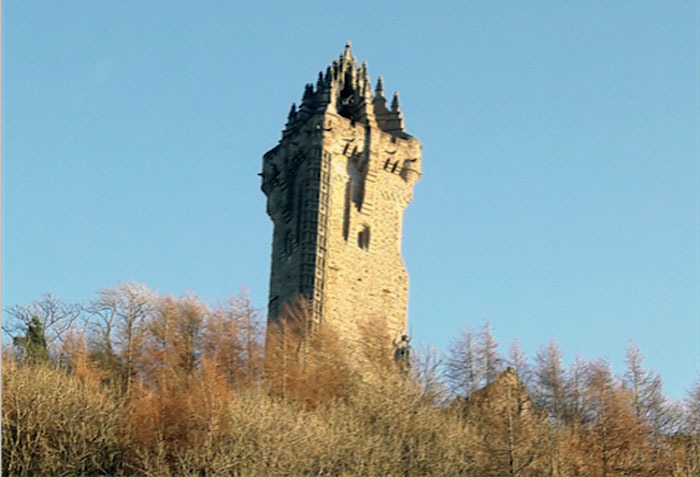 Climb the heady heights of the 246 steps at The National Wallace Monument offering outstanding panoramic views of Stirling, and its iconic Castle. 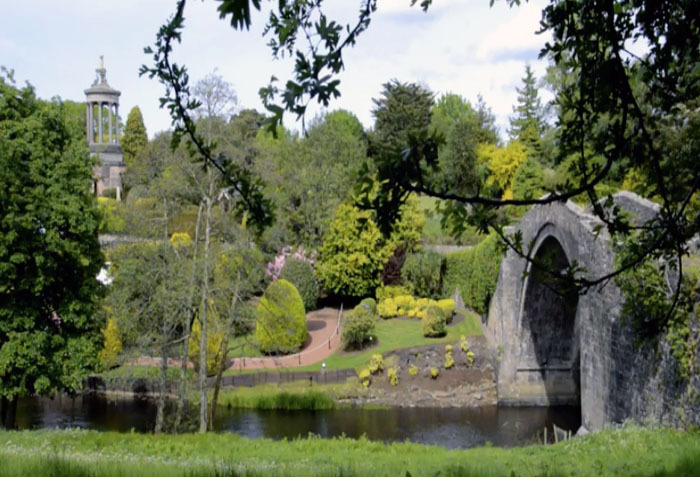 Explore this ‘Dear Green Place’ on this spectacular city shore excursion from the port of Greenock (Glasgow). 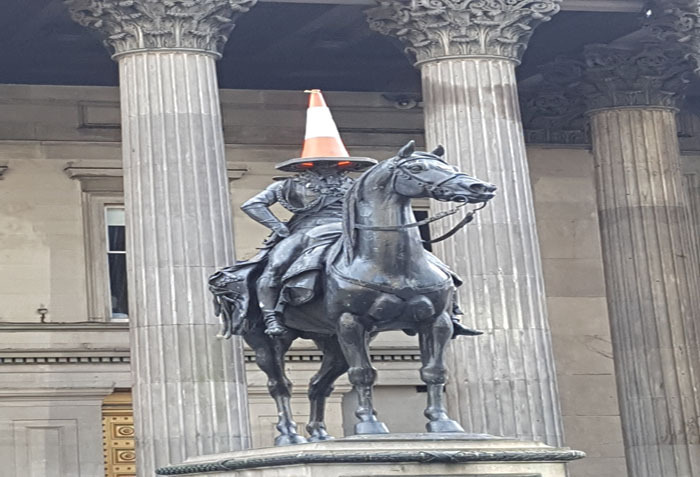 Discover Glasgow’s history, culture and architecture, and see for yourself why Glasgow is ‘Smiles Better’. This tour has something for everyone incorporating Glasgow Cathedral, Glasgow University and the Provands Lordship. 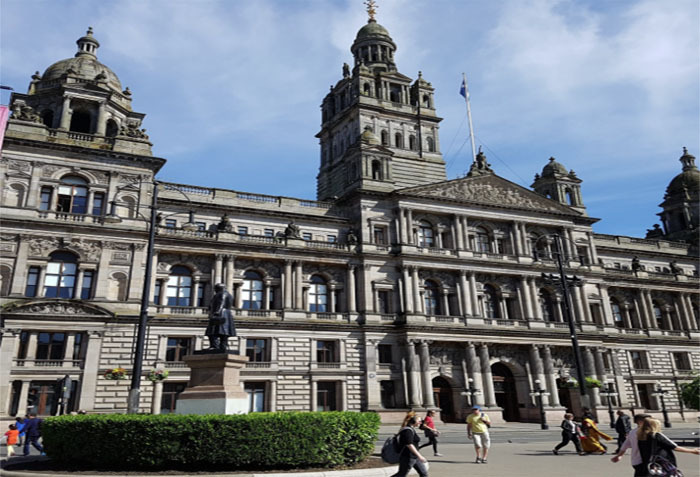 Other popular sightseeing locations include Glasgow’s Riverside Museum and Tall-ship, Kelvingrove Art Gallery and Museum. 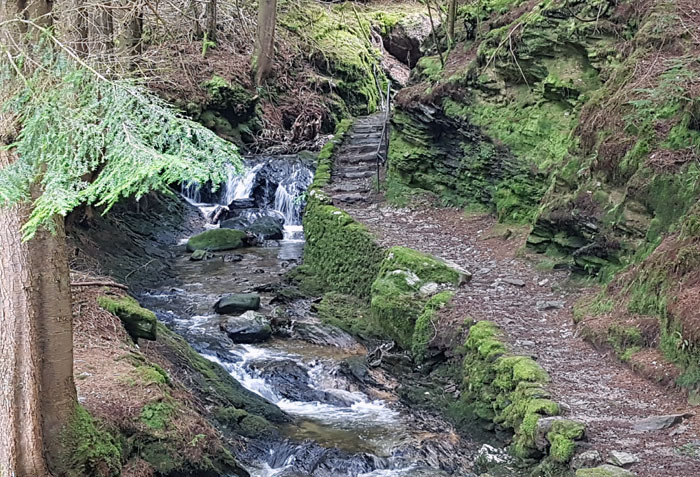 Fancy an adventure to the enchanting Puck’s Glen? Get your hiking shoes on as we take a 15 minute ferry crossing from Gourock to Dunoon in Argyll. 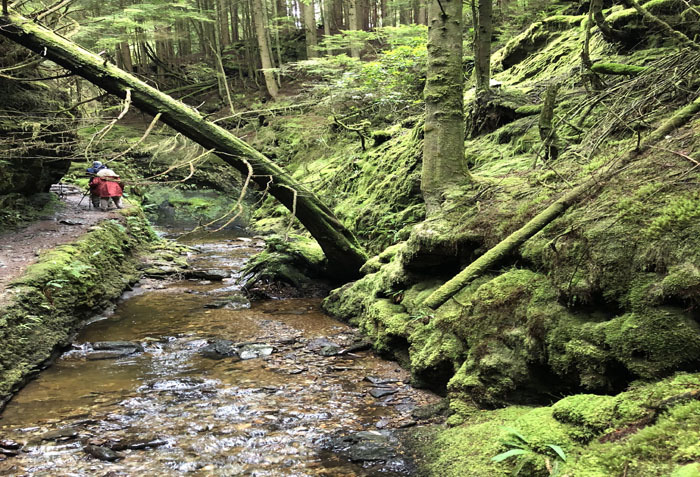 Enjoy an atmospheric fantasy forest walk through mystical mossy woodland, and magical fairy pools. Often described as a fairytale glen, you will traverse over criss-cross bridges surrounded by cascading waterfalls. Think Scottish literature, think poetry….who is the first person that comes to your mind? 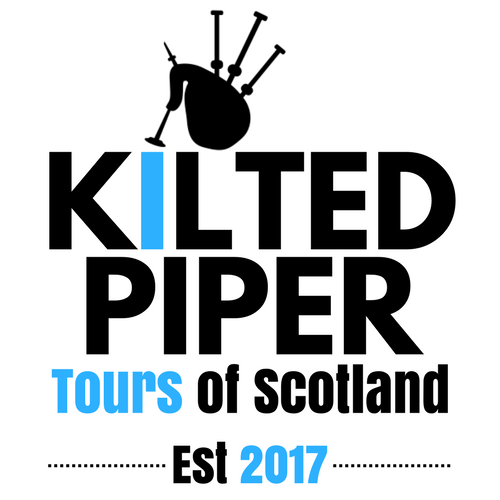 Let us take you on a journey through the life and times of Robert Burns whilst exploring the Ayrshire Coast and all it’s beauty. 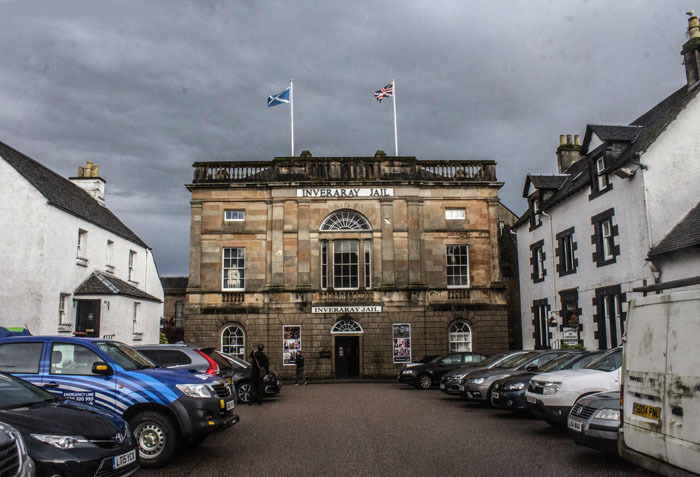 Heading South from the port of Greenock (Glasgow) you will be transported to the place where it all began for Scotland’s National Bard, Alloway. 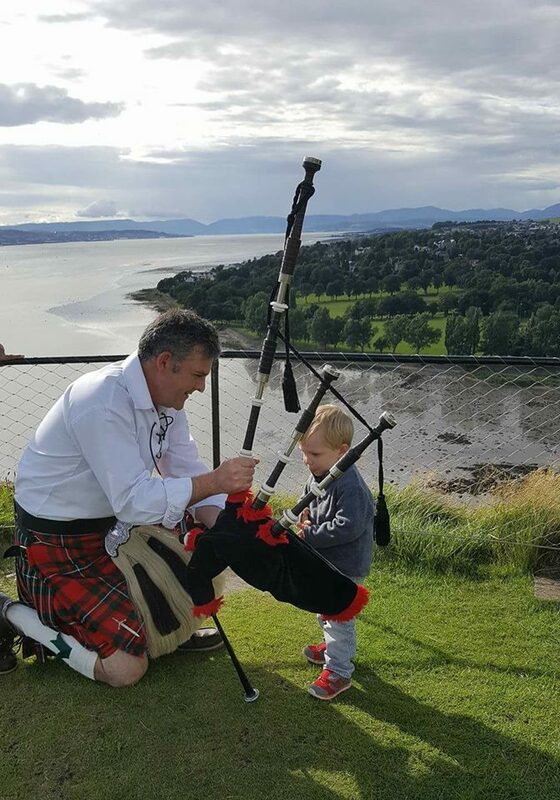 Walk over the famous Brig o’ Doon to the skirl of the Bagpipes. Peak into the Auld Kirk if you dare where the witches terrified Tam o’ Shanter. 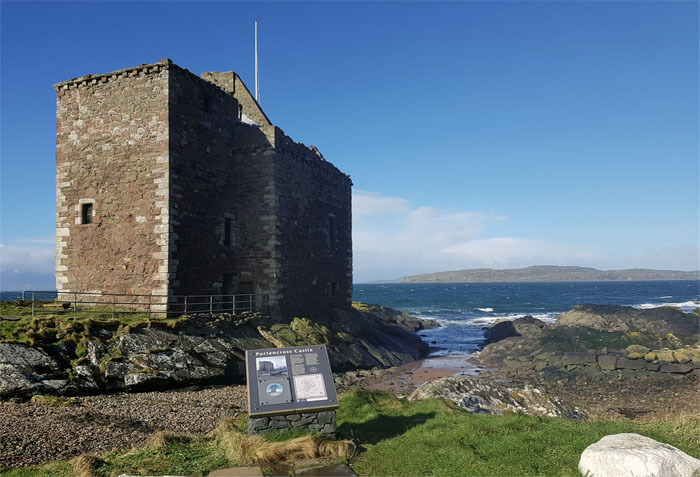 You will return along the rugged Ayrshire Coastline en route to Portencross Castle which has magnificent views of the Isles of Arran and Cumbrae. 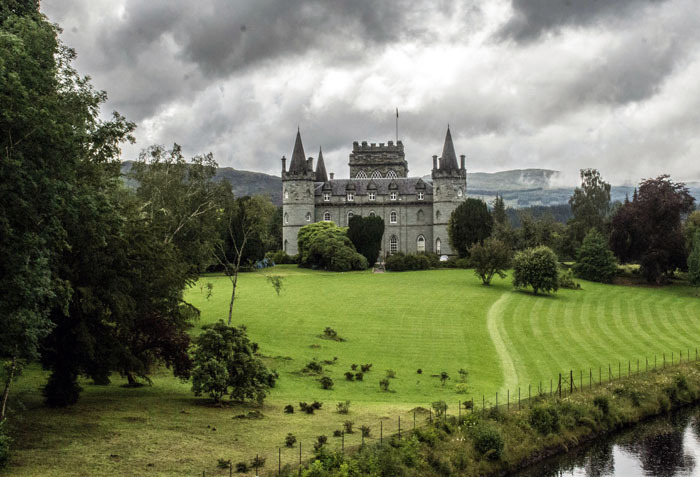 Tour through the Magnificent Mountain Range of the Arrochar Alps, on the Cowal Peninsula in Argyll and Bute, to explore this 18th century neo-gothic Inveraray Castle. This is one of the earliest examples of gothic revival architecture. It has been the seat of the Dukes of Argyll, Chiefs of Clan Campbell since the 18th century. After a light lunch we can experience the nineteenth century prison and courthouse, Inveraray Jail, which is now a living museum. 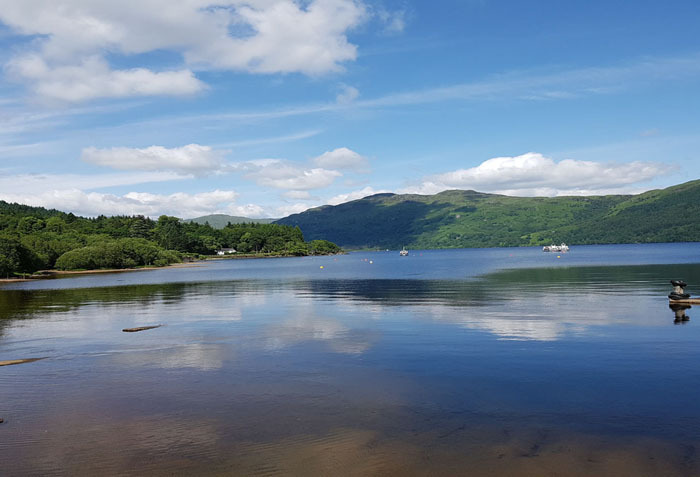 Enjoy the surroundings of Loch Fyne, the longest of the sea lochs in Scotland and renowned for it’s fabulous sea food. Our Greenock Shore Excursions have limited places so, to avoid disappointment, get in touch today. We are a small family business in Largs just a short distance down the coast from Greenock. 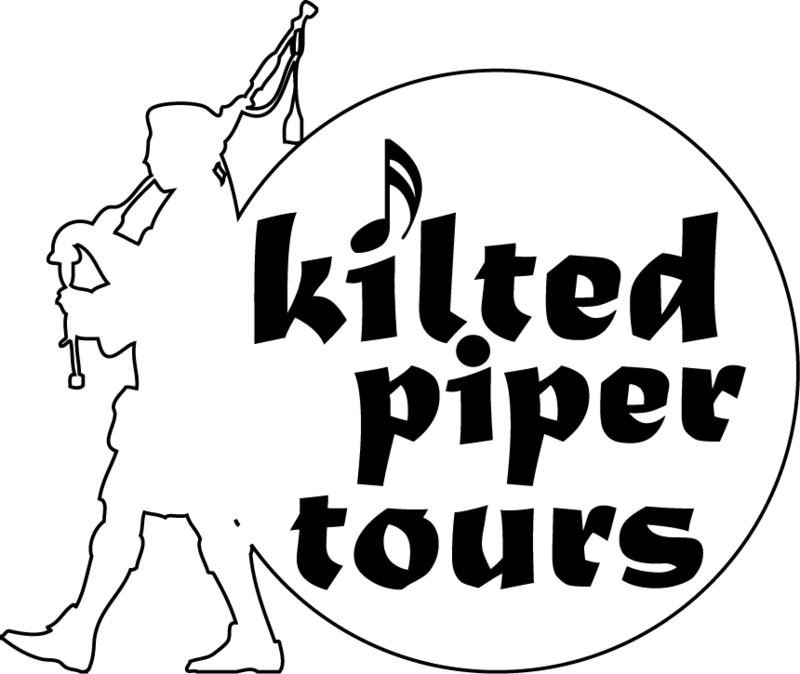 We offer unique private shore excursions with your tour guide Graeme playing bagpipes on location. Why not book your Greenock, Invergordon and South Queensferry excursions at a special rate.